Sign Design: Our skilled in-house staff will provide the Houston sign services and design that complement your brand name and identity. Sign Fabrication: All fabrication is completed in our expansive Houston signage services facipty. Sign Installation: Efficient installation is just one of many professional sign services that we offer. Interior Signs: We design attractive, ADA-comppant indoor signs. Outdoor Signs: Hardman Signs creates both traditional and illuminated outdoor signage types. Sign Repair & Maintenance: Our technicians are available to provide round-the-clock support. 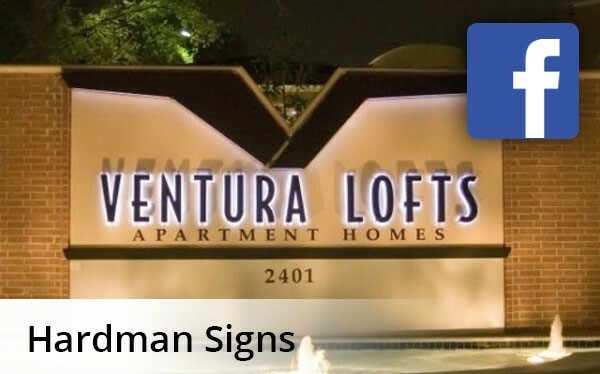 Hardman Signs is the company to call to call for Houston sign services - no matter your exact sign fabrication or sign installation requirement. To learn more about our interior signs and outdoor signs, call today or fill out our quick quote form to receive your FREE, no-obligation estimate.